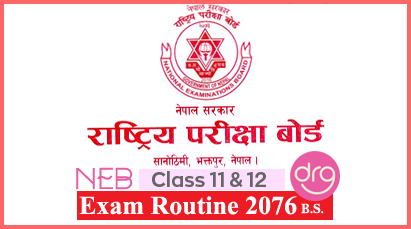 On 20 Chaitra, 2074 [3 April, 2018], TU publishes form fill up notice of MSc. 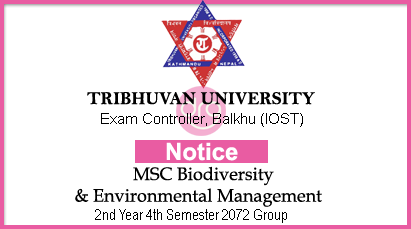 Biodiversity & Environmental Management Exam for 2072 Group. Tribhuvan University (TU), Institute of Science and Technology (IOST), has announced the examination form fill up notice for the M.Sc. Biodiversity and Environmental Management 2nd year 4th Semester 2072 group. 0 Response to "M.Sc. 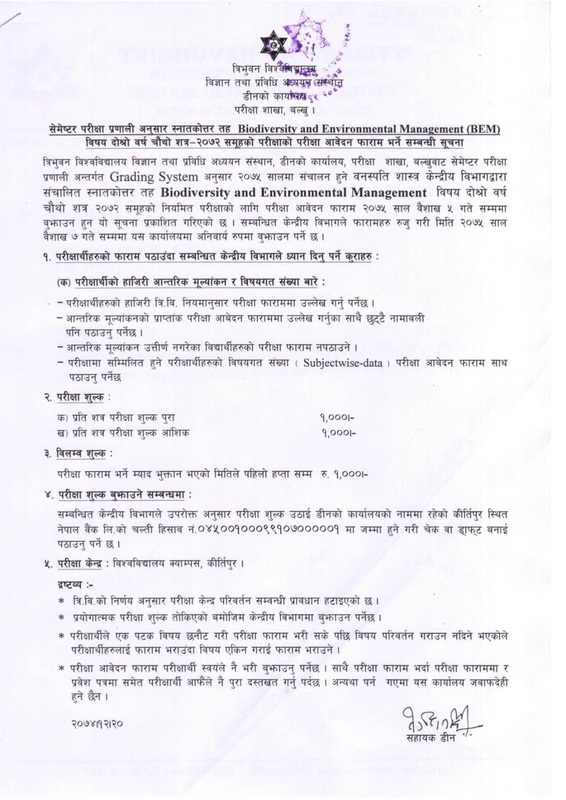 Biodiversity and Environmental Management Exam Form Fill Up Notice | 2072 Group | TU"